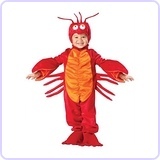 This Costume is called... "Lobster in a Clam Shell". 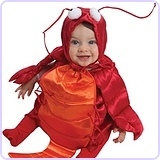 The costume was made by Marshall, who is the proud Papa of the lil lobster, Ryan. The base of this creative costume is a Baby Stroller. 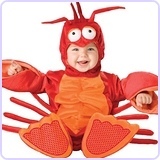 Marshall provided instructions on making this Lobster costume and decorating stroller as a Clam Shell. Thanks for the Entry Marshall! 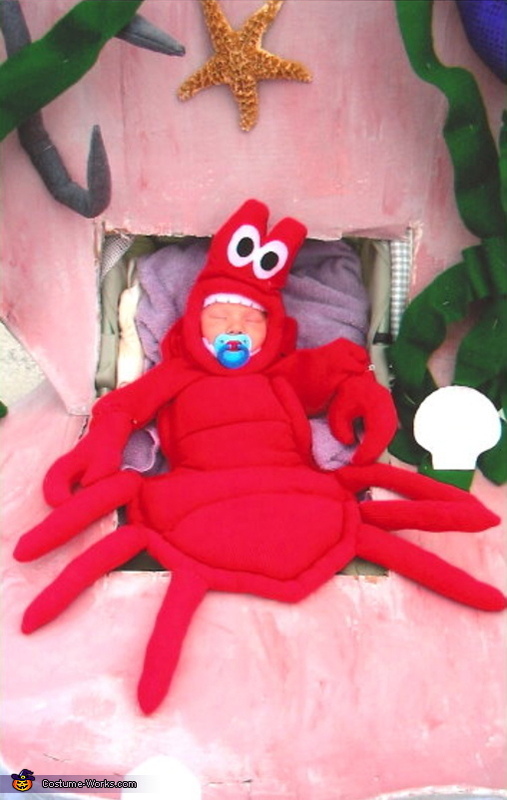 This homemade costume for babies entered our 2009 Halloween Costume Contest, and won 1st place!